HealthSmart Filters are next generation air filters unlike anything you've seen in stores. They have been available for years, but only through professional service companies...until now. Designed specifically for the protection of human health; they replace your existing A/C or furnace filter. Once installed, this air filter will transform the quality of the air you breathe. We guarantee you will love this air filter. 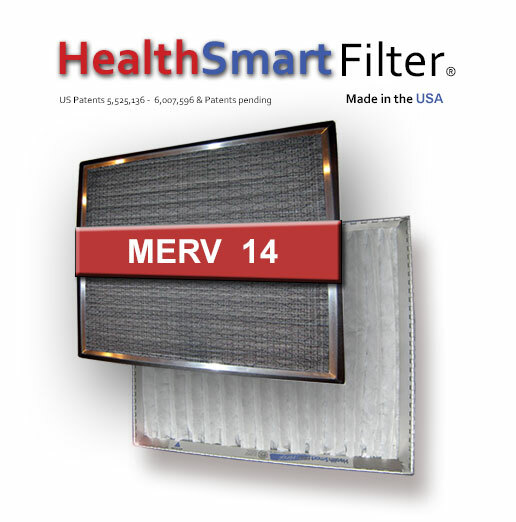 You'll receive the patented HealthSmart air filter frame. This permanent, 100% aluminum frame features a unique Leak-Guard Seal to eliminate bypass. We'll make your new frame the exact size that you need to ensure that you will always have air filters that fit perfectly! You won't need to make any modifications to your existing equipment, it fits all makes and models. Your frame includes a (1) year supply of MicroSponge filter refills. MicroSponge filters have a special blend of polymers to create a high, stable active charge on every fiber of the air filter. This charge causes pollutants to stick to the filter, like a magnet to steel. The charged fibers do not need to be as tightly woven as in ordinary filters, this means they will not restrict airflow. MicroSponge filters have the highest efficiency and the lowest pressure drop of any charged media in the world. HealthSmart Air Filters are up to 600% more effective in capturing dangerous fine particles and fumes from your air, compared to ordinary store bought air filters. Great for allergy sufferers. I recommend the HealthSmart Filter to all my patients. 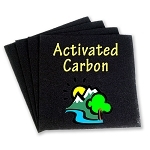 It is the most effective air filter I have ever used in removing airborne contaminants." 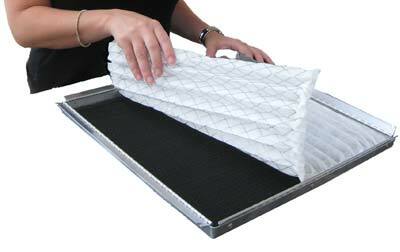 We hand make your reusable air filter frame of sturdy aluminum and a permanently attached electrostatic screen. They won't bend, melt or warp like plastic or cardboard furnace filters. All filter frames are backed by An industry - leading 10 year warranty! "As an orthopedic surgeon with a wife who is severely both asthmatic and hypersensitive to most airborne odors, physical and chemical airborne contaminants and who had progressive COPD, I am understandably very concerned about the quality of the air filtration of our HVAC system. I have been using the Filter Factory microsponge filter system for some time now. I recently switched from the hinged frame to the magnetic snap frame to hold our microsponge filters in our HVAC system and find the snap frame easier for me to use. We have found no filtration system that can begin to compare to the microsponge system along with the Zeolite pad to remove VOC's. And with an odd sized filter frame requirement there was no other available filter system that could compare. 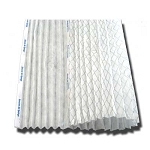 Other companies may say they make custom sized filters But my personal experience is that these are lesser quality pleated filters in weak cardboard frames with two or more filters taped together with masking tape and which often collapse when subjected to the suction of the furnace blower. 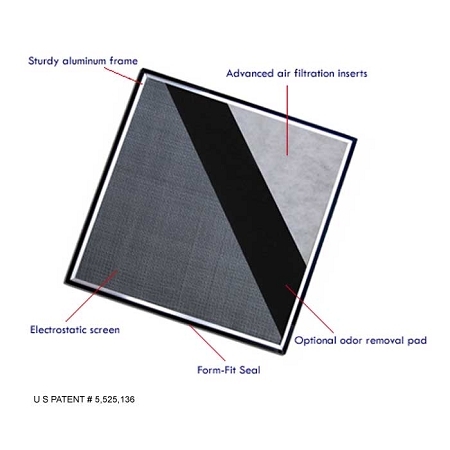 The Filter Factory custom aluminum frame forms an airtight seal with its rubber gasket and the filters work better than any of the many products on the market that we tried in years past to reduce dust along with physical and chemical contaminants in our home. 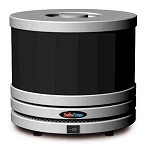 Best investment you can make if you want clean air in your home for yourself and your family. I consider the cost a bargain for what we get." 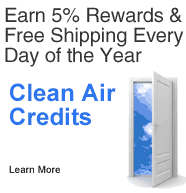 106 Clean Air Credits will be rewarded to you when you buy this item.